Are you considering selling your home sometime this year? Or perhaps you just want to get your property looking its best, for your own pride or for a particular event, such as a home wedding? Either way, it’s a good idea to regularly take steps to ensure the curb appeal of your home is as strong as possible. There are many steps you can take to ensure the outside of your property looks just as neat and tidy as the inside. Read on for some cost effective and simple ways you can improve the curb appeal for your home today. First up, you will immediately boost the look of your property by taking care of your lawn and doing some gardening to tidy up the outdoor areas. Overgrown lawns, long weeds, unkempt garden beds and the like give a yard a messy, neglected feel and can be the first thing people notice when they arrive at your property. 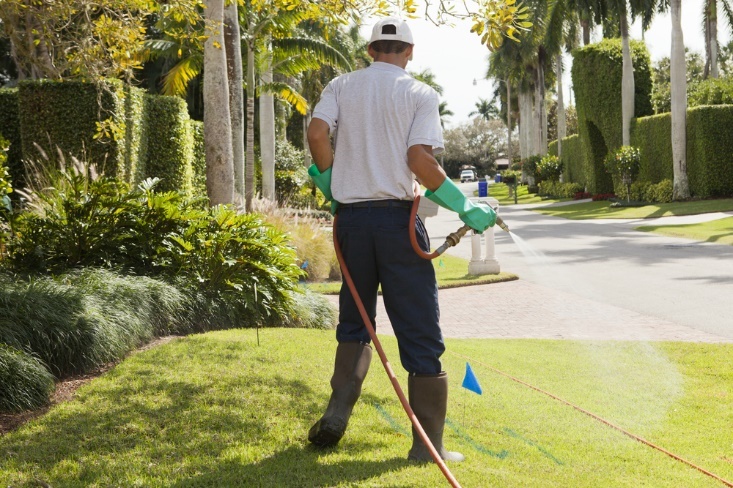 To ensure visitors or potential buyers get the right impression, focus on completing regular yard work. Getting a lush, green lawn is a good start. Lawn mowing needs to be done often, particularly during rainy seasons. If you hate this job or simply don’t have the time for it, keep in mind that you can hire someone to do the task for you. Check out these Houston lawn mowing services as an example. Keep your lawn looking its best by also fertilizing it at least a couple of times per year, and water it as often as it needs it (if grass is curling up or turning a different color this is often indicative that more moisture is required). Aerate the lawn annually too, so that water, sun and air get down to the roots and the soil and help keep the lawn healthy and strong. Also rake up fallen leaves so they don’t end up turning into a suffocating mat once they get wet. As for your gardens, keep everything trimmed back and especially away from fences and paths. Remove anything which has died, do some weeding as needed, and relocate shrubs or trees which have become too large for their current position. If, however, you have the opposite problem and your yard is looking rather bare, it’s time to add some color and greenery by way of new plants. Choose drought-resistant, easy-to-care-for plants and place mulch around them so you don’t need to worry about too much upkeep. Hardware items out the front of your home generally need some maintenance and care over time, too. For a comprehensive property exterior facelift, look at the outside of your house with fresh eyes and see what needs painting, repairing or replacing. Paint can peel, things can rust and break, and if they haven’t been updated for many years, older fixtures and fittings can also really date your property. Check out a variety of hardware on the exterior of your house to see what needs work. This list includes your front door, mail box, windows, roof, garage, door frames, decking, weatherboard, street number, window boxes and the like. Lighting is another important element when it comes to curb appeal. Keep in mind that you could have buyers or other visitors coming to your home after dark, so you want things to be well lit up, so no one loses their way, trips, or hurt themselves. Good outdoor lighting also does a great job of making a property feel more inviting and homely. When choosing lights, consider purchasing solar products, as these will be much more economical over time. They also of course are kinder to the environment. While you may find some DIY installation options, often these types of goods have to be properly put in by a qualified, licensed electrician to be safe and up to code. Lastly, if your property is like many others, it’s possible that at the moment your driveway has cracks or other flaws in it, and/or the fences are falling down or otherwise in a state of disrepair. Curb appeal will not be complete until you fix these elements. your property more appealing if buyers are coming to look at it and need to find a home with secure boundaries to keep children and/or pets safe.